The U.S. District Judge in charge of the pretrial proceedings for the gambling addiction claims against the drug Abilify has issued procedures aimed at streamlining the process. Under these procedures, new cases will enter the multidistrict litigation (MDL) if plaintiffs file a Short Form Complaint. The Short Form Complaint incorporates specific allegations about Abilify and its manufacturers contained in a Master Long Form Complaint. The pretrial proceedings were centralized in October under U.S. District Judge M. Casey Rodgers in the Northern District of Florida. Centralization of cases involving allegedly dangerous drugs occurs frequently and is intended to decrease duplicative discovery about issues common to cases. This, in turn, is intended to eliminate pretrial rulings that might conflict. The convenience of plaintiffs, witnesses, defendants, and the courts are considered better served through this method. The plaintiffs allege that the manufacturers of Ability, Bristol-Myers Squibb and Otsuka Pharmaceuticals, withheld information from both patients and medical practitioners about the connection between Abilify and compulsive gambling. It has also been linked to several other compulsive behaviors, such as compulsive shopping and hypersexual activity. Abilify (aripiprazole) came on the market in 2002. It is among the top selling treatments for schizophrenia, bipolar disorder, and other major depressive disorders, but is also widely used to treat irritability, aggression, mood swings and other behavior issues. Abilify is responsible for more than $6 billion in sales annually to its manufacturers. In May of this year, the U.S. Food and Drug Administration (FDA) mandated that the manufacturers place a warning label on Abilify about the potential risk of gambling, compulsive shopping, and other compulsive behavior. The FDA’s move came after it had received a significant number of reports about adverse events in which Abilify users had uncontrollable urges to gamble, shop, eat, or engage in sexual activities. Addictive gambling can affect the social standing and financial lives of patients considerably, as can other forms of compulsive behavior. Plaintiffs in these cases allege that they could have avoided negative impacts if they had been warned about the risk and might have stopped using the medication had they known about the linkages. In addition, warnings about the risks were given to medical personnel and consumers in countries outside the United States. The lawsuits thus note that the information was known, but withheld in the United States. Roughly 25 cases are pending in the Abilify MDL. 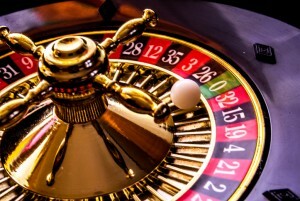 Litigation is projected to increase rapidly in the future, as lawyers concerned about the link between Abilify and compulsive gambling review more claims for people and families who have suffered financial harm and negative impacts to their reputation as the result of medication-caused compulsive behaviors.